* Beautiful Luxury Suite Spacious 1300 square feet 2 Bedroom 2 Bath unit. * Luxury building with 24 hour doorman in family friendly building. * 24 hour check in. * Full amenities - Fitness Center, Gym, Pool, Kids Play area,Patio, Grills,Spa etc. * Next to 24 hour Path Train to New York City. * Next to Newport Mall, with tons of options for shopping, entertainment and dining. * Shoprite grocery store is steps away. * It is 5 minute to lively Grove Street area and 5 minute to Exchange Place. * 15 minute door to door to Manhattan midtown, 15 minute commute to World Trade Center financial district, Wall Street. * PARKING : ON-SITE:$25/day;1 Block away : $10/day : MUST BE RESERVED IN ADVANCE-Unlimited In/Out. "Home Away from Home" – We strive to provide you everything you need for stay in our luxury suites. * Jersey City : Jersey City is very well connected to Manhattan by 24 hour PATH subway/underground train and is only 5 minute train ride from Manhattan. It provides affordable options for professionals working in Manhattan or tourists visiting Manhattan. * We offer fully furnished and tastefully decorated suites for both short term stays, corporate housing and long term stays in Jersey City. * Our suites are maintained professionally and we personally make sure that they are completely ready before your arrival. * Our suite include modern and comfortable furniture with memory foam mattress in luxury residential buildings with elevator access in safe and vibrant neighborhood. * We also offer discounted and hassle free transportation from Newark (EWR), John F. Kennedy (JFK), La Guardia (LGA) airport. Our previous guests,especially out of town, find transportation very helpful and useful. * We are available seven days to resolve any issues to help our guests. We try to respond to all of your queries as soon as possible. * Hi-Speed Verizon FIOS WI-FI and Cable TV is available in every unit - at no extra cost. * Individual climate controlled heat/AC in all rooms. - 1300 square feet spacious Luxury Suite. 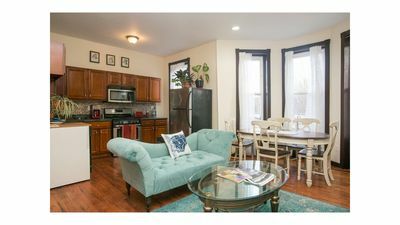 - 2 Bedrooms, 2 Full Bathrooms, 1 Kitchen, 1 Living Room with tons of 11 ft floor to roof windows. 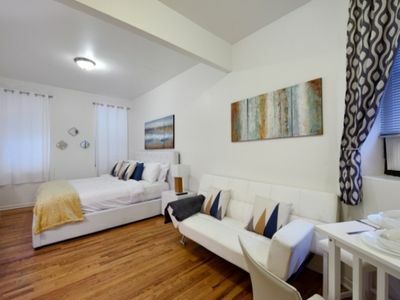 - 2-3 minute Walk to Newport/Pavonia PATH Train station - 24 hour subway train to New York City. - Well maintained 50 floor Luxury residential building with four elevators, 24 hour doorman and inviting lobby. - Washer/Dryer in the unit. - FIOS Hi-Speed Internet and Cable TV for your exclusive use. - Bedroom 1 : Carpeted, 1 King Size Bed, Side Tables, Table Lamps, Closet space, attached full bathroom with standing shower, Linen, Bedsheets, Towels, Toileries, wall mounted Heating/AC unit, Ironing table, Iron. - Bathroom 1 : Full size Bath tub, Shower, Toiletries, Toilet Paper, Towels, Hair Dryer. - Bathroom 2 : Full size Bath tub, Shower, Toiletries, Toilet Paper, Towels, Hair Dryer. - Living/Family Room : Wooden Floor, 52 inch LED TV, Blu-Ray/DVD/CD player, entertainment center, Modern sofa to comfortably seat 5 people, which convert into queen size sofa bed, glass coffee table, wall mounted Heating/AC unit. Lots of natural light. - Kitchen : Granite counter tops, Flat top electric stove, Microwave, Dishwasher, Toaster, Refrigerator, Dinnerware, Cookware. Everything for you to cook or dine in the suite except groceries. - 10 minute commute to Manhattan. - Daily/Weekly cleaning service (at nominal charge). - Shoprite Super grocery stores within 1 block. 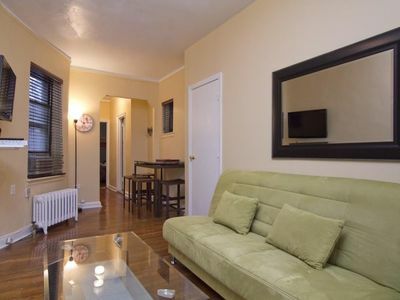 - 2 minute walk from PATH train station. - Next to Newport Mall with tons of high end shopping and budget shopping. You can fulfil all your shopping needs here. - Tons of restaurants, bars, grocery shops, ice cream parlours in the neighbourhood. - Super Safe and clean neighbourhood. - Hugely discounted personall Airport pickup/drop available. It is one person, who just does airport pickup/drop off fro my guests only. He is not a part of Taxi service and is very reliable and honest person. - 24 hour check-in with Front Desk. - Full access included to state of art 5000 sq ft fitness center including massage room. 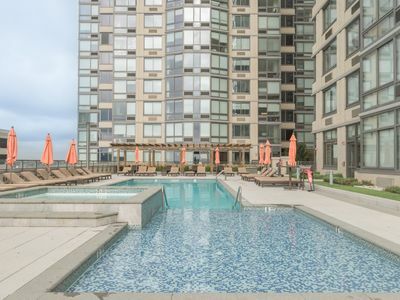 - Full access included to 50000 sq ft of amenities area boasting swimming pools-Heated outdoor pool, Whirlpool spa and lounge pool. - Corporate Housing for Jersey City, New York City, Hardborside Financial Center, World Trade Center. 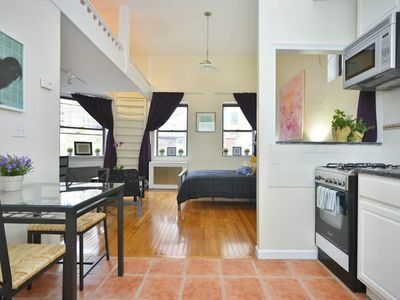 - Vacation Rental for visiting New York City. - Anywhere in Jersey City. - Playing loud music/partying in the suite. 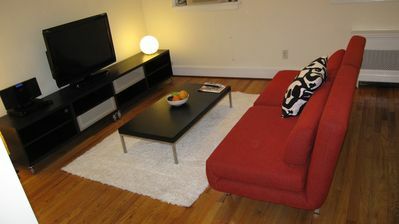 - Hosting Personal,Dating or Professional events in the apartment. > Train station 3 minute from building. - Vibrant Newport Area area of Jersey City. Great Night life. - Tons of restaurants featuring italian, middle eastern, indian, american, Mexican cuisines, Bars, Wine Bars within 1-5 minute walking distance. - 1 min walk to Newport Shopping Center Mall with close to 200 hi-end shopping stores and food court with 20+ restaurants/cuisines. 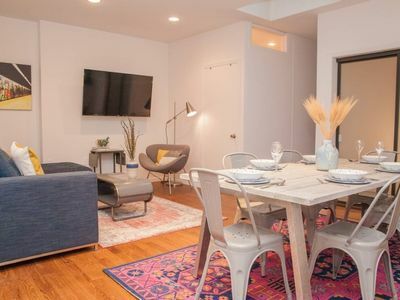 - 1 mile from from Hoboken - which offers active nightlife, restaurants, bars, parks, cafes, galleries and live music clubs. - 24 hour store right next to building for everyday needs. - Few grocery stores within 1-3 blocks. - PATH subway train is 2 min walk from building. coworkers! Thanks for letting stay! June 2016 (Guest from Canada): Great place to stay nice clean apartment with a great view. Close to subway. Easy access to new York. June 2016 (Guest from Palo Alto, California) : The apartment was clean and in a very good neighborhood. Exactly as described as seen in the pics. May 2016 (Guest from Arkansas): The listing is accurate and we really enjoyed our trip choosing this apartment. I recommend to my friends and never forget this apartment. Really like it. May 2016 (Guest from New Jersey) : PERFECT location along with a fantastic view! Jenny's apartment looks exactly like it does it the pictures, but feels even larger because of its modern decor. Maria, the property manager, met up with me right on time to drop the keys off and Jenny even contacted me during our stay to make sure everything was alright. 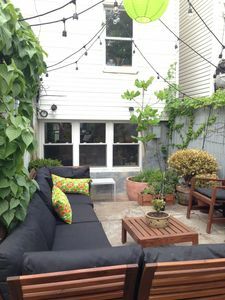 The apartment is across the street from the PATH train, providing easy access to NYC and Hoboken. There are several restaurants close by and even the Newport Mall. I would definitely stay here again. Thank you, Jenny! May 2016 (Guest from Dubai, UAE)) : The apartment was great. The location was great for visiting NYC just stops away from path station. The apartment had almost everything one could need. Even though we didnt meet jenny but she took care of all maters and was very approachable. 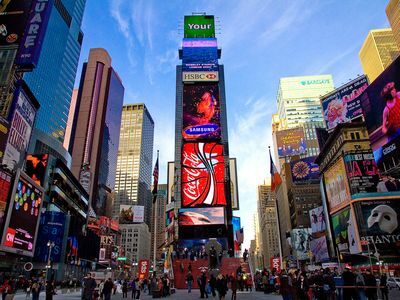 Close to Time Square! Midtown Manhattan Large 1bdrm condo near attractions!